While checking out the Renntech site, I noticed you don’t have to send in your ECU in for tuning any more. You can seitch from stock stock and new tune as often as you want. Like trips to Dealer . I went with the Renntech HHT. It is very easy to use the OBD2 port. 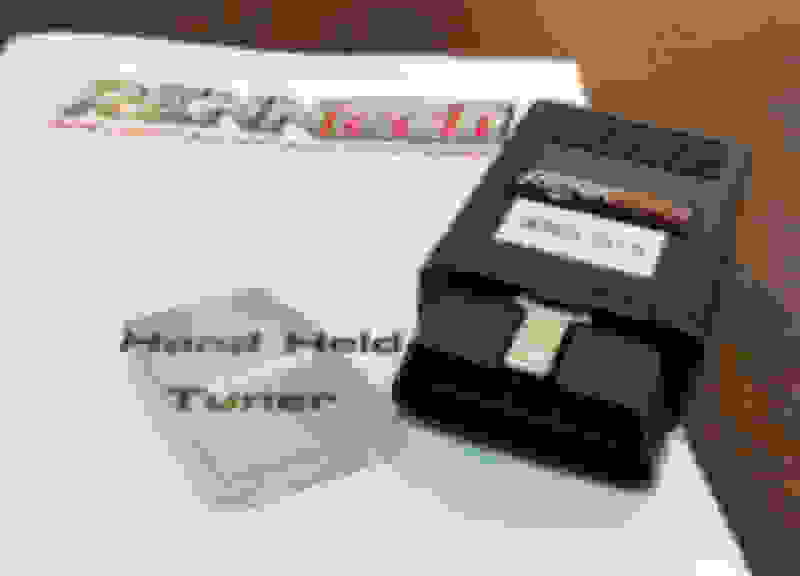 Simply insert your key in the glovebox switch, turn to position 2, insert the HHT in the OBD2 port and wait for the tune to upload. Yes, it does make driving the GTS more "robust." I used to avoid using comfort mode, which now is better. Sounds weird I know---but put it this way. On my 2018 AMG E63S, the car is quite responsive even in comfort mode. The Renntech tune makes the GTS more responsive even in comfort mode, which I used to avoid. The Renntech HHT is more expensive, but there is some comfort in the reputation and at least informal relationship with MB. I don't think the "numbers" produced are necessarily the biggest factor in selecting a tune, but driveability of the vehicle certainly should be. And here the Renntech HHT works. Which tune and how much to pay for shelf tune? Will this affect my warranty? I think if an individual is "risk adverse"---keep it stock and avoid aftermarket tunes and modifications. My GTS is nearly out of warranty anyway, so I've got that going for me---lol. I'll switch back to the stock tune next month since I have a service scheduled and see what happens at the dealer. Renntech seems to be more expensive than other similar HHT offerings---the Renntech HHT is about $3K. I think the main question is: How much does it cost to replace my AMG GT/GT-S/GT C/GT R engine if something goes wrong? It's really amount the amount in dollars of risk, not simply that there is risk. How much can you afford to bet. Have not heard of a catastrophic failure on a 178 because of a simple “tune”. The only ‘comfort’ in having a Renntech tune installed versus all others, is by having the tune installed at a MB dealership that sells Renntech products. Your chance of having some recourse should there be an issue would be higher IMHO. Decartesfool makes a valid point: what is your ‘pain’ threshold to having a caned tune installed when a destroyed engine on a GT/GTC/GT R might run you, what? $50K-$70K to replace? What if we already have an EC tune, but would like the ability to de-tune and re-tune, when necessary? I know a friend of mine who had a tune on his 178 series engine that had a catastrophic engine failure that required the replacement of the entire motor. There is no indication if the tune caused the failure or some other factor did, so can't blame the tune or anything else specifically. But the cost would have been astronomical had Mercedes not covered it under warranty. Dealer never said what was the cause of the failure. Same price or is the 1499 for the device, only? I love these people who think they know it all. I was visiting my dealer awhile back and there was a newer cls63 in the service area with no engine. Blown engine with an estimate replacement cost of over six figures. They were very hush hush on the cause, but through conversation it was definitely tuned. Not sure if it was covered under warranty. They wouldn’t say. These things have and can happen so buyer beware. If you want to play just be prepared to pay. If your good with that then mod away. Is the ODB2 tuning a piggy back or an actual flash of the ECU? Its a dme flash which modifies the ECU while the Piggy tricks the ECU. on a side note, what do you think a tuned GTC would trap, on average, in the quarter mile with your tune? ?